Great 1st video!! Shows Leann singing in the studio and out singing by the pool!! great summer video!! 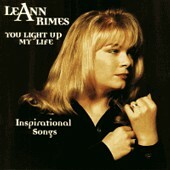 *This song shows an influence that leann can have on people. The Video takes place in TX. just a good relaxing easy listenting song and video!! Great, Fun video. This clip shows Leann doing what she does best singing and having fun. Leann is in SF Cali. shopping and flurting with guys!! Just having Fun!! Another Influencial song/video!! Leann is Beautiful in this clip. sourounded by Water and Stars!! Another great Video!! This Video is simple but good!! Leann is on top of a buliding in Nashville TN. Dressed in black and singing her heart out!! This Video takes place at night. Midnight and after, while lighting changes leann caught some zzzzz's!! Bouncy, Fun video shows Leann every where, on the street singing, on the beach, on a balcony. She is Having fun at the Beach!! Colorful and bright video with cartoon charaters!! Shows Leann in Nice Dresses singing on a couch with cartoon charaters around her!! From the movie "QUEST FOR CAMELOT"!! Well not much to it, just leann singing for a crowd!! Dressed in orange, it's a good peformance of Leann on Stage with Stage Dancers!! Beautiful Leann clip!! Leann sings to the cam in white and white background and leaves falling all around!! Good Video!! CLICK THE PIC ABOVE TO VIEW THE VIDEO "ONE WAY TICKET"
CLICK THE PIC BELOW TO SIEW THE VIDEO "HOW DO I LIVE"